The Australian Bureau of meteorology web site states that wet season starts on 1st December in Far North Queensland and two months earlier on October 1st in the Northern Territory. The wet season starts when the inflow of moist winds off warm waters found in Southeast Asia flow into the monsoon trough that lies across Northern Australia. The eclipse occurs in one of the sunniest months of the year in Cairns. 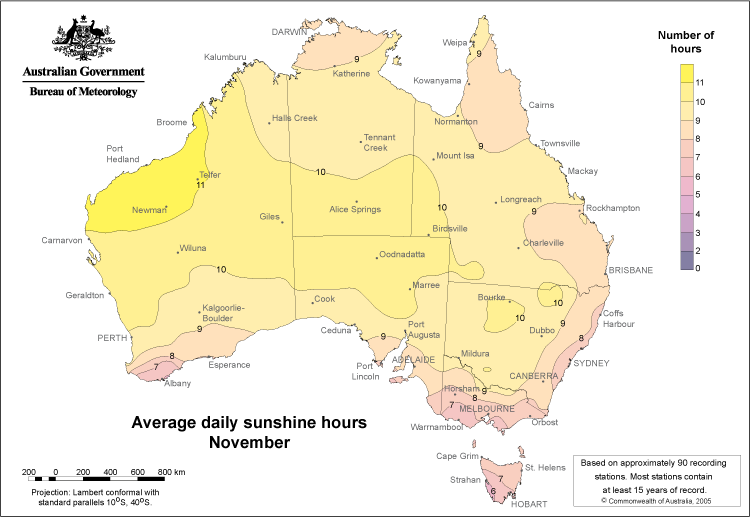 Sept - November is the driest and least cloudy part of the year in North Queensland. Sunshine hours are 60-70% of maximum. 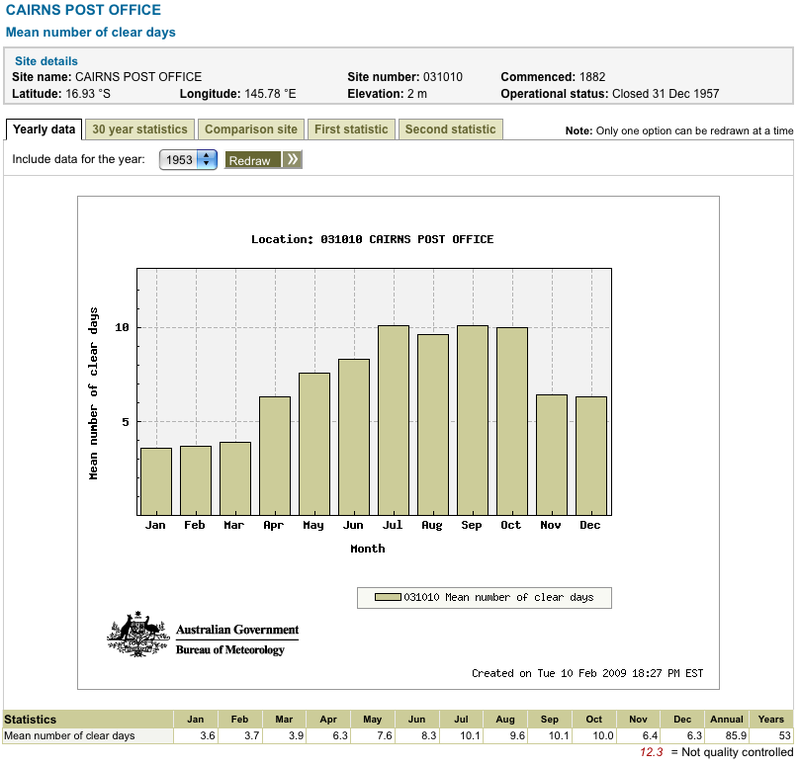 Despite the earlier start of the official wet in the Northern Territory, sunshine hours and number of rainy days are the same as Cairns. 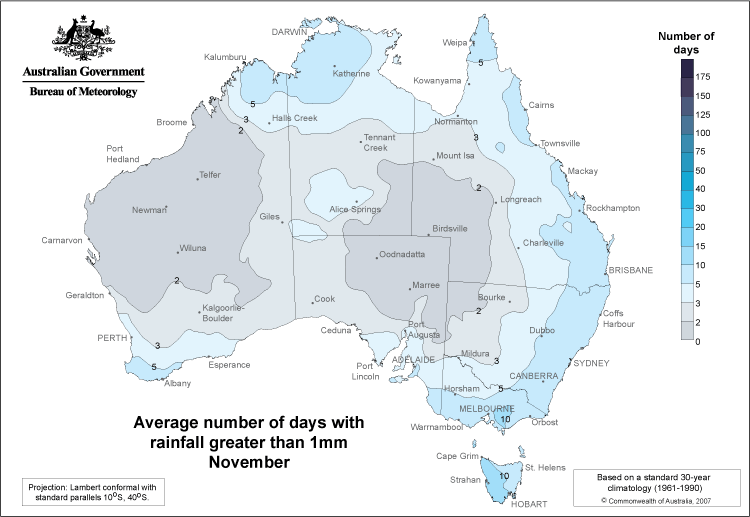 Parts of Far North Queensland (FNQ) receive 10 metres of rainfall annually. Fortunately, much of this rain falls between January and April.